Let's see how many of these golden-oldies you recognize. This week, Google commemorated the 334th anniversary of Bach's birth. With over 1000 known compositions, Bach is generally regarded as one of the greatest composers of all time. In honor of this musical powerhouse, we deemed right to name our 10 most legendary and influential Lebanese composers who have graced the world with their unique musical creation. Born in 1935, Elie Choueiry was brought into what is widely considered as "The Golden Age of Middle Eastern Music." His contemporaries include Abdel-Halim Hafez, Um Kulthoum, and Abd al-Wahhab. Choueiry's music offers a mixture of romantic, patriotic, and poetic songs. Growing up in the diversified city of Beirut, Elie was so moved by the call for prayer (adhan) of his Muslim counterparts, and he incorporated the sound in many of his songs. Having composed hits like Eyyam el Loulou and Biktob Ismik Ya Bladi (I write your name, O my country) which were sung by Sabah and Zaki Nassif, Choueiri was quickly taken under the wing of the Rahbani Brothers. He was also a close friend of late Melhem Barakat and the composer of the national anthems of Morocco, Tunisia, and Qatar. Devout patriots and activists, the Fleifels were quick to fight the Sykes-Picot Agreement and the subsequent influx of French and British dominions via their music. They wrote over 1,000 rebellious songs and poems that often got them in trouble with the French authorities during the France Mandate of Lebanon. They are even credited with putting Fairouz under the radar of the Rahbanis who made her their protegée. A popular household name, Melhem Barakat rose to fame with his passionate, even volatile, music. His success is largely attributed to that aspect of his music, its honesty, and its semblance to his own character. He studied music under the Lebanese legendary composer Zaki Nassif in the National Conservatoire and composed for Lebanese giants like Wadih el Safi, Nasri Shamsuddin, and Majida El-Roumi. A truly versatile composer, Ka'boor wrote all types of music, from nursery rhymes to rebellious anthems. In 1975, at the mere age of 19, Ka'boor called for nationwide togetherness to reject the precursors of the budding civil war with his masterpiece Ounadikom (I call upon you). A champion of the people, Marcel Khalifeh has stood out among his peers in the region. His music has always come hand-in-hand with his political call to resist oppression. He often composed musical pieces for Palestinian poet Mahmoud Darwiche and performed them. With his formidable musical talent and unquestionable knowledge, Khalifeh often teaches at the National Conservatoire. He was also the first to incorporate the saxophone into the Lebanese and Arabic music, making it a companion to his renowned Oud musical instrument. With masterpieces like Ya Bahriyye (O Sailors) and Wa Ana Amshi (And I walk), Marcel etched his place into the regional collective memory as a prolific musician and an icon of the 'revolution'. A unifier of traditional Eastern music and contemporary Western instruments, Toufiq El-Basha is one of Lebanon's few orchestral maestros. He composed over 500 songs and symphonies and had close ties to legend Zaki Nassif. 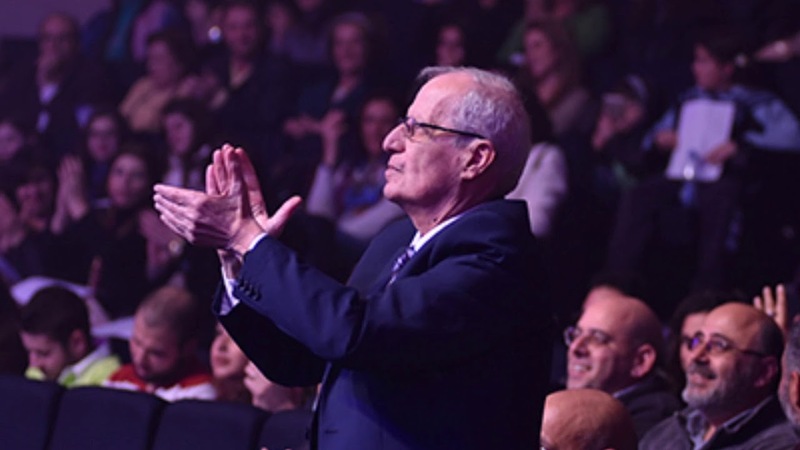 Among those who sang his chief pieces: Wadih el Safi, Nasri Shamsuddin, and Nour El-Hudawere. Toufiq passed away in 2005, leaving an influential legacy in the music industry of Lebanon and the region. His musical prowess lives on in his son Abdul Rahman El-Basha, a world-renowned pianist. A true musical prodigy without an ounce of formal musical education, Philemon composed over 2000 pieces! He was the only composer -besides the Rahbanis- to have his work sung by Fairouz in popular songs like A'la Jisr el Lawziyyeh (On the bridge of the almond tree) and Ya Mirsel El-Maraseel (O messenger of messages). Among the other legends who performed his compositions: Sabah, Wadih El-Safi, Nasri Shamsuddin, Wardah, and Shadya. The brain behind the pop classic Sanfirlo, Wehbi was most known for his quick wit and quirky comical character. It is rumored that he often played mediator between warring factions during the Lebanese Civil War due to his resourcefulness and likeability. This native of Kfarshima, Beirut, stands as a symbol of humility and unrefined/raw talent. Son of Fairouz and Assi El-Rahbani, Ziad had music running in his veins before he came to the world. This musical prodigy started young, playing his father's compositions on the piano at just 4 years old. Despite his parental rich legacy, Ziad chose to deviate from the classics and went carving his own path and creating his own style. Ziad is a prolific pianist and a talented musical improviser who has incorporated Jazz and Latin Funk to much of his work and even to some of the hymns he created. One of the country's most beloved personalities, Ziad is at the forefront of every musical conversation. Previously mentioned above, Zaki Nassif is a marker of Lebanese music. Born in the charming mountain village of Mashgharah in the Bekaa, Zaki incorporated country-life and folklore into his songs and lyrics. Nassif studied music at the American University of Beirut but he preferred a simplistic neoclassical approach. He represents a middle ground between the unrefined skill of Philemon Wehbi and the institutional expertise of the Rahbanis. His works include the undying patriotic hits of Raji' Raji' Yita'mmar Loubnan and Tallou Hbabna Tallou. Both these masterpieces became historical. Created during one of the darkest periods of the civil war, these songs fueled the nation with hope and resilience, promising the certainty of the rebuilding of Lebanon and the return home of the loved ones who had taken refuge in peaceful countries. These masterpieces are still very popular to-date. It goes without saying that Mansour and Assi El-Rahbani were Lebanon's most esteemed musical authorities. The brothers established a musical identity unique to Lebanon, had a positive influence on our culture, and helped launch the careers of dozens of artists. 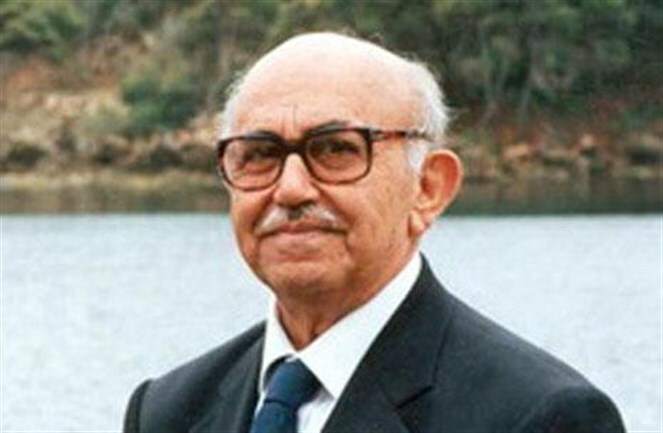 Mansour, in particular, was known as a musical genious. The Rahbanis were a school of their own. They were traditionalists who relied significantly on Middle Eastern rhythms and folkloric beats played on Western instruments like the piano. But no instrument was more effective than the gem of their musical trio: Fairouz. The Rahbani family has left a long musical legacy with many musicians following in their footsteps still. They are features of our 6 Lebanese Geniuses Making Us Proud list, which you can check out here.